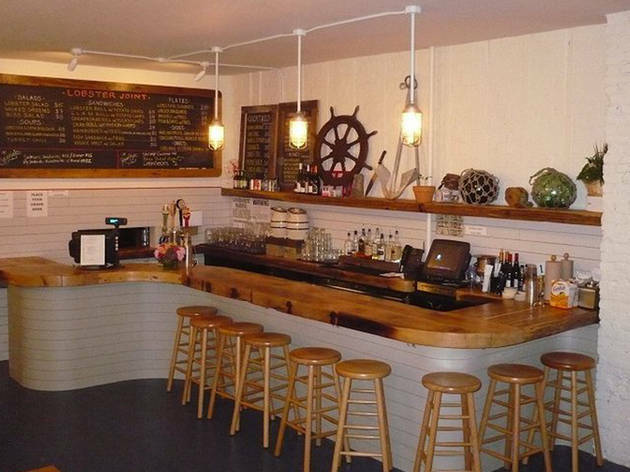 Situated a few blocks from the water's edge in Greenpoint, this New England–style seafood shack recalls its waterfront inspiration with nautical touches, like a ship wheel and a 150-pound anchor. Chef Justin Ernsberger (the Mermaid Inn, Lure Fishbar) dispatches familiar seaside classics, like lobster rolls, clam chowder and fish-and-chips, plus a selection of raw-bar plates. To drink, choose from four drafts, such as Coney Island Mermaid Pilsner and Belfast Bay Lobster Ale. I live in Maine where the best lobsters come from. The Lobster Joint in Greenpoint is like stepping back in Maine. The inventive and creative ways they use lobster does a Mainer like me proud. I LOVE this place and make it a point to stop there each time I go to Brooklyn. The lobster is only the beginning. The rest of the menu is wonderful (love the sliders!) and the drinks are perfect each time. But above all, the staff always makes this such a wonderful place to visit, sit back and relax. I just love them all and can't wait to stop in again soon! Always fresh, local and delicious; the best lobster roll around! The lobster joint has great vibes and the best lobster roll I've ever had!!! The best lobster roll and a wonderful neighborhood hang out! Always a friendly and fun atmosphere. Who doesn't want great happy hour specials, bomb brunch, the BEST bloody mary in Brooklyn (hello, delicious lobster claw), or a never fail dinner menu?! Exactly! I've tried a good portion of the menu so far and while I hardly ever get to say this, I haven't been disappointed yet. Also, shout out to their picklebacks! 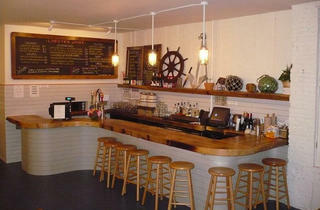 Really though, besides the good food and drinks, the place is cute, clean and comfortable. Super cheap and cheerful happy hour - with great quality, delicious oysters and cider by the can. A friendly staff, excellent menu selections, reasonable prices and a killer patio make the lobster joint one of my favorite neighborhood spots. Absolutely delicious! And such great service! I stopped in for lunch and had a delicious roll and fries and a cold iced tea. The service and vibe both warm and friendly, I'll be back! I don't get the fuss over this place. Super average food. kind of dingy smelling inside, usually pretty loud. The lobster rolls never taste that fresh to me and might even have crayfish meat in them. High ish prices for what it is. You order at the register and then get a number for your food to be brought to you, so it isn't even real sit down wait service. The outdoor eating area is nice.